When you talk about the biggest sector in the world in terms of dollar value, the oil and gas industry is a global powerhouse employing over hundreds of thousands of workers worldwide as well as generating huge amount in billions of dollars globally each year. The oil and gas companies are so vital they often contribute a significant amount towards national GDP and this great success cannot be achieved without exploration, extraction, refining, transporting, and marketing of end products which is vital to many industries, and is of high significance to critically take certain measures to preserving this process of great value starting from timely maintenance schedule, dual routine checks and streamed down replacement of some essential devices like the Solenoid Valves. But what exactly is a Solenoid Valve? Solenoid valves are devices electromechanically operated with the use of a solenoid to change the state of a valve from open to close to control the flow liquid or gas. It is used in fluid power pneumatic and hydraulic systems, to control cylinders, fluid power motors, and larger industrial valves. Solenoid valves are used in factories/plants where compressed air is not available. In domestic washing machines and dishwashers, the solenoid valves are used to control water entry into the machine. A solenoid is also very important in the medical field especially when equipment have to be very precise and accurate; solenoid manufacturing for medical purposes has been of too strict standards since life is at stake. Solenoid valves can be used for a wide array of industrial applications, including general on-off control, calibration, pilot plant control loops, process control systems, and various original equipment manufacturer applications. Other solenoid operated valves used at a more advanced method varies in pressure, flow depending on the input signal. A solenoid valve consists of two main parts: the Solenoid and the Valve. The Solenoid is a cylindrical coil of wire, which acts as an electromagnet when an electric current passes through while the Valve acts as a control device, which controls or directs the flow of fluid by closing, opening or partially obstructing various pathways. Valve Body: This main part of the solenoid valve, includes ports, seats, and orifice that permit movement of fluids when the solenoid is energized or de-energized. Solenoid Tube Assembly: Cylinder, in stainless steel, sealed and closed at one end. This is a guide channel of the movable plunger which is moved magnetically. The valve has the solenoid coil fitted on the external side of the enclosing tube. Moveable Plunger: An electromagnetically inductive coil, made of a movable stainless steel, it is attracted by the solenoid magnetic field and slides inside the tube. Plunger Spring: This is a return spring that holds the movable plunger in position when energized and to return it to its position when de-energized. Seat Seal: It is used to close a valve main orifice and it is located on the movable plunger. Electromagnet (Solenoid coil): The electromagnet consisting of copper windings (solenoid) along with, a magnetic yoke (armature), when energized, generates a magnetic flux which attracts the movable plunger. De-energized: Electric current (electricity) IS NOT applied to solenoid valve (it is powered off). Energized: Electric current (electricity) IS applied to solenoid valve (it is powered on). Normally Closed (N/C): Valve is in the CLOSED position when de-energized. Normally open (N/O): Valve is in the OPEN position when de-energized. Voltage: Energy potential between two points. Regular voltage: 220VAC, 110VAC, 24VDC, 12VDC. Flow Rate Values: A valve flow rate can be determined by the nature of the design and also by the type of flow. The size of valve essential for a particular purpose is proven in CV rating. This figure is evolved for standardized units and conditions i.e. flow rate in GPM and uses water at a temperature of between 40°F and 86°F at a pressure drop of 1 PSI. CV ratings for each valve are quoted. A consistent system of flow rate values is also used for pneumatics. In this case airflow in SCFM upstream and a pressure fall of 15 PSI at a temperature of 68°F. Once high pressures and large orifices are faced, then high forces are vital. 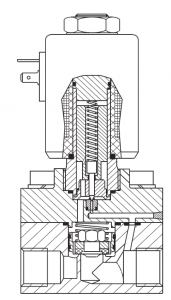 To generate those forces, an internally piloted solenoid valve design may be potential. When the Solenoid receives the electrical signal, a magnetic field is created, thereby causing two forces counter one another and channeling air directly to spring a plunger inside the coil, which has an integral seat to forcefully open when the solenoid coil is energized. Depending on the valve design, when electrical current is removed from the coil, a return spring brings the plunger back to the original closing state, thus cutting off the flow of the fluid. Two-Way Valves:They consist of two ports way which is alternately used to permit inflow as well as shutting it off. A two-way valve can be classified to be normally open or normally closed in its operation. These valves are very versatile and can be deployed in a wide variety of applications in many industries to simply switch flow on and off and with a normally open valve, the valve remains open until current is applied to close the valve. 2/2 Direct Operated or Direct Acting Valve: The solenoid valves have the most working simple principle. In a direct acting valve, when the valve opens, the coil magnetically acts in a direct action, lifting the shaft and the seat of the valve without depending on outside pressure. It simply means that by energizing the solenoid coil, there is a direct influence on the position of the valve. And one basic function of a direct acting valve is that when the valve is always fully operational without the need for any pressure in the line. 2/2 Semi-direct operated solenoid valves refer to tameson combine the properties of direct and indirect valves. This allows them to work from zero bar, but still they can handle a high flow rate. They look somewhat like indirect valves and also feature a movable membrane with a small orifice and pressure chambers on both sides. The difference is that the solenoid plunger is directly connected to the membrane. When the plunger is lifted, it directly lifts the membrane to open the valve. At the same time, a second orifice is opened by the plunger that has a slightly larger diameter than the first orifice in the membrane. This causes the pressure in the chamber above the membrane to drop. As a result, the membrane is lifted not only by the plunger, but also by the pressure difference. This combination results in a valve that operates from zero bar, and can control relatively large flow rates. Often, semi-direct operated valves have more powerful coils than indirect operated valves. Semi-direct operated valves are sometimes called assisted-lift solenoid valves. 2/2 Indirect or Pilot-Operated Valves:The pilot operated valves, acts as a pilot to assist with the operation of the valve when the plunger opens up the pilot opening, the built-up pressure causes the valve to open and close. The indirect valve needs to maintain full power in order to remain in an open state, and perform at a slower rate. Pilot-operated valves only need full power when opening the valve, as they can hold their open position even when operating on low power. The main function of this valve is that it requires less electrical energy to operate. Three-Way Valves: This valve is used to operate single-acting actuators and comes with three ports, with port 1 as the valve inlet, port two as the outlet and port 3 as the exhaust. They are commonly used when alternate and exhaustive pressure from the diaphragm operator of a control valve and can be mostly categorized as Normally Closed, Normally Open or Universal for diverting functions based on the valve condition when the solenoid is energized. Four-Way or Five way Valves:These valves can have four or more port connections and provide a positive two directional action. Four-way valves are commonly used to provide on-off operation of double-acting valves with a dual-acting cylinder or actuator. When the solenoid is de-energized, it sends the full air supply to one side of the actuator and exhausts the other side to the atmosphere. Work for bigger pressure range. In Normally Closed (N/C) – They are designed to block flow through the valve and commonly used for safety precautions. During this operation, these valves use a spring to remain closed. Also in the normally closed operation, when the system starts to experience overpressure, the valve opens to guarantee safety within. Once pressure begins to regulate, it will automatically close i.e., When the valve is de-energized, the pressured port is sealed and thereby allowing the cylinder port linked to the exhaust port to seize flow between the inlet and cylinder ports. Normally Open (N/O) -The normally open valves can as be used as safety precaution devices. Though, unlike the normally closed valves, the working principle of the parts is to maintain low pressure in a system. They are aimed to allow liquid or gas to flow in through normal circumstances. As the system builds pressure, they will begin to shut off; in-order to regulate pressure levels. In extreme overpressure situations, the valve will close almost entirely. Directional Control Valves – A control valve which consists of two positions and three ports are one of the very fundamental parts of the hydraulic machinery as well as pneumatic machinery. This mode of operation allows fluid flow into different pathways from one or more sources. They regularly consist of a spool inside a cylinder that is controlled mechanically or electrically. The spool consists of grooves that allow oil or gas to flow around the spool and through the valve body. 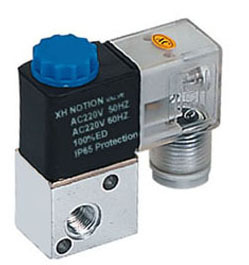 Universal or Multi-Purpose Solenoid Valve – In this mode of operation, it allows the valve to be connected to either the normally closed (N/C) or normally open (N/O) point, to enable the selected one to two fluids or divert flow from one port to another. Materials, That Makes Up A Solenoid Valve. 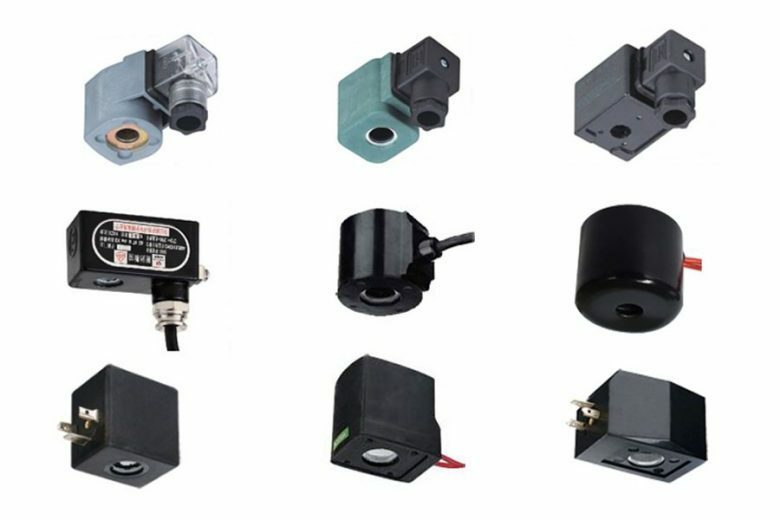 All materials used in the construction of the solenoid valves are carefully selected according to different types of applications like the Body, seal, solenoid material; flow rate and pressure rating are chosen to enhance functional and fluid compatibility. 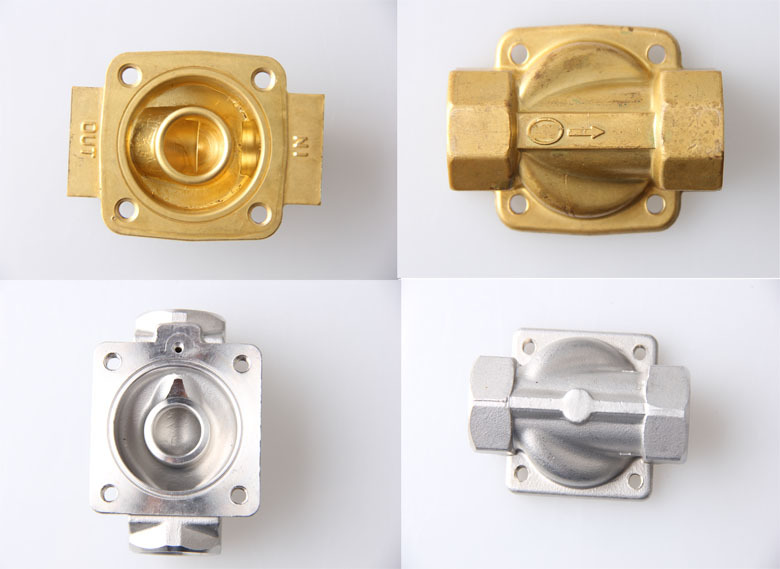 Body Materials: Neutral fluid valve bodies are made of brass and bronze. Fluids with high temperatures, e.g., steam, corrosion-resistant stainless steel are recommended. In addition, polyamide materials are used for economic reasons in plastic valves. Seal Materials: The mechanical, thermal and chemical conditions in an application factors in the selection of the seal material. Standard material for neutral fluids at temperatures is up to 194°F normally NBR. For higher temperatures, FKM and PTFE are involved. Selecting the correct sealing material for your solenoid valve requires considering the below factors. This seal is also known as the NBR or Buna-N and it is the seal industry’s most widely used solenoid valve seal material with the chemical name as Butadiene Acrylonitrile. It is also a standard material for O-rings, suitable for air, gas, liquid, water, light and can stand media temperatures to approximately 90 degrees Celsius on a continuous basis to higher temperatures intermittently. Nitrile Rubber is the standard material for neutral fluids but has a weak resistance in terms of oxidizing media such as acids when exposed to sunlight. They are commonly used with the following media: Water, Air, Aliphatic hydrocarbons, Hydraulic fluids, fuels, and gases. It has good abrasion and tear resistance. NBR has a goodresistance to Milk, Wine, Alcohol, and Diesel. NBR has a poorresistance to Ozone, Ammonia, Steam, Chlorinated Hydrocarbons, Ethers, and Esters. Its high-temperature resistance is limited. EPDM rubber stands for Ethylene Propylene Diene Monomer, its solenoid valve seals are well recommended for use at a temperature range above NBR such as hot water and low-pressure steam due to EPDM’s excellent resistance to heat. The maximum service temperature of EPDM is approximately 120 degrees Celsius and also has a good resistance to acids, alkalis, and salts. The Ethylene Propylene Diene Monomer seals are mostly used with the following media: Freon, Hot /Cold Water, Steam, Air. It offers good performance in polar fluids such as alcohols and coolants. It also has a goodresistance to Oxidizing Chemicals, Up to Medium Concentration Acids, Alkalis, Heat, Ozone, Fireproof hydraulic fluids, Many Ketones and Alcohols, Sunlight, Abrasion, and Tearing. It has a bad performance in nonpolar fluids such as lubricants, hydrocarbon oils, and greases. EPDM is inappropriate for use with most oils and fuels. EPDM has a poor resistance to Halogenated Solvents, concentrated acids, and alkali, aromatic and aliphatic hydrocarbons. Viton (FKM) is a brand name of DuPont for its synthetic rubber and fluoropolymer elastomer. It is commonly used in O-rings and other molded or extruded products. They can be used in automotive, oil exploration applications due to its well know excellent for heat resistance and make service temperatures nearing 150 degrees Celsius possible. Viton compared with other elastomers is better able to withstand high temperature, while simultaneously retaining its good mechanical properties. It also has good electrical properties in low voltage or low-frequency applications and in low burning characteristics. They are commonly used in the following medium: Alkali, Hot Water, Salts Solution, Hydrocarbon, Acid, Oils. It is also known to deliver exceptionally good performance in oxygenated automotive fuels and display good resistance to compression, even at temperatures that would make some non-fluorinated elastomers brittle. Viton grades provide the best fluid resistance of any commercial rubber and also resist degradation from a wider variety of chemicals and fluids. Viton (FKM) has a poor resistance to Ketones and Acetone. PTFE stands for Polytetrafluoroethylene and it is a well-known brand of Dupont Teflon. PTFE is practically resistant to all fluids, non-elastic (not flexible), limiting its use in certain applications. It is mostly used for high temperature and high-pressure solenoid valve reaching very high temperatures 230 degrees Celsius, as the dynamic seal material, it can be suitable for all fluid but will be leakage especially the medium is gas. Its polymer contains polytetrafluoroethylene chemical materials, which are used in packaging electrical and corrosion-resistant materials. The PTFE seals are commonly used in the following media: Food industry, Steam. The Isolated diaphragm and valve body seal part made with PTFE material have high corrosion resistance. The actuating portion of the solenoid valve and the body portion where the fluid flows are separated, the fluid used do not corrode the driving portion. PTFE particles, dust, impurities are more fragile and the use of fluid containing the above medium can affect the flow channel installed in the filter device to prevent the entry of foreign matter. PTFE (polytetrafluoroethylene) has a poor resistance to Hydrofluoric acids and hot caustic solutions. Silicone is an inert synthetic compound heat-resistant material and rubber-like polymers commonly selected for solenoid valves. It consists of hydrogen, oxygen, carbon, sometimes other elements and often used in general purpose applications at a consumer level for common household products. It exhibits many useful properties, such as Low thermal conductivity, Low toxicity, and does not support microbiological growth, Low chemical reactivity, Resistance to oxygen, ozone, and ultraviolet light. Its seals offer a wide working temperature range from -54°C to +232°C, with a high gas permeability at room temperature (25 °C), but silicone is a very soft material and therefore is not that good with higher pressure applications above (40 bar) depending on orifice design. It has the permeability of silicone rubber for gases such as oxygen, which is approximately 400 times that of butyl rubber, making it useful for medical applications desired aeration. Silicone has good thermal stability and withstands high & low temperatures far better than organic rubber. Different organic elastomers such as neoprene and EPDM, the compression set of silicone rubber is consistent over a wide range of temperatures from -60° to +250°C and the selection of a proper curing agent is particularly recommended when using silicone material to make molded products that require a low compression set. Silicon acts excellently as an electrical insulation even when immersed in water, making it an ideal insulating material. And it is commonly used with the following media: drinking water, beverage, low-pressure air and has a goodresistance to chemicals, ozone, Heat and Steam, Acids. Solenoid Materials: The solenoid actuator parts which come into contact with the fluid are made of austenitic corrosion-resistant steel. i.e., resistance is guaranteed against corrosive attack by neutral or mildly aggressive media. A Number of Required Ports: A normal solenoid valve consist of two ports: an inlet port and an outlet port which are also called two-way valves; this can be controlled with an on-off switch. Valve designs with one inlet port and two outlet ports are identified as three-way valves. The switch can be used to change the valve flow path from one outlet to the other ports while some solenoid valves are designed with four ports. Required Flow Rate: In Solenoid valves, different applications are considered to achieve a flow rates target. The key point here is to select an assembly that provides the proper size of the orifice. An orifice that is too large for the application is likely to produce more waste and result in suboptimal performance or may not provide the insufficient capacity to achieve the target flow rate. Voltage Requirements: The mass of the electrical current required to move the solenoid valve’s core of the orifice varies with the size of the orifice. It’s significant to choose a valve design that accommodates the available power supply. Inadequate voltage is likely to prevent the valve from opening properly, which in turn would adversely affect the valves flow rate. Media: Choose right valve for water, air, diesel, oil, steam or other fluid. Valve Installation: Ensure you know the right valve installation e.g. they are two major types of valve installation; stand-alone and manifold-mounted. In the stand-alone installation, the In-line valves are mounted near the actuator to improve performance and all ports are part of an in-line valve’s body while Manifold-mounted units are valves that share both exhaust and supply channels. Flow Rate: Regular checks should be done to determine the application required flow rate in order to correctly choose a solenoid valve i.e. Ensure to know how much flow is really needed if the valve is too large for its use, as you will be wasting liquid/air and money, and if it’s too small, the actuator won’t properly function. Power Requirements: The amount of voltage or wattage needed, knowing that can help you choose the right kind of solenoid valve to use for the application. Take note though that the flow is limited by the valve’s orifice, bigger orifices tend to require more power to use. e.g. if your use requires high flow rates and low power supply, then you should consider using a pilot operated valve as it is best used in that kind of power requirements. Operating Pressure: Review the operating pressure manual presented to you by the valve’s manufacturer. Since operating pressure has a great effect on the flow rate of the valve, determining the operating pressure can help you choose a valve that will perform as required depending on the application. Port Size: Ensure to review the port sizes adequately in the base or manifold to ensure that the correct valve fittings are bought. Valves critical needs to be installed in a single base or multiple-station manifold depending on the application to allow air into the circuit. Special purpose: for the underwater fountain, for high temperature, for corrosion, for outdoor, Hazardous Locations and Explosive Atmospheres. When choosing a fluid solenoid valve, some essential measures such as valves low temperatures or high-temperature facts becomes a challenge, and certain precautions need to be put in place. Solenoid valves with High temperature are practically used for steam or hot oil while low-temperature solenoid valves are practically used in cases of low-temperature liquid such as CO2 and N2. So what will be the critical factors to decide performance of solenoid valve? That valve users, designers, manufacturers must pay massive attention to in order to avoid issues like testing and compliance, low-power capabilities, support and issues of reliability. Seals are core factors that affect the low and high temperature in a solenoid valve; it is categorized in three structures, which is divided into piston pilot valve, membrane pilot valve, and direct acting. Seals are very important when choosing a valve because it is suitable for use in a harsh environment with a ranging temperature from -100°C to +260°C. Polytetrafluoroethylene (PTFE) will be categorically the best choice for it’s excellent resistant to aqua regia and all kinds of organic solvents. A solenoid coil is another essential factor that affects the low and high temperature in a solenoid valve. The duty cycle of your coils when the coil is improperly sized can cause failure to the operation, especially when operating a valve at 100% duty cycle. It also has a similarity with that of the valve seal due to its capability to function in harsh environments. Besides pressure, flow rate and pressure drop considerations, we need to use class H coils rated to 180°C, practically the copper wire can withstand a high temperature of but cannot exceed 180°C and when designing a machine, coil temperature should be considered to avoid undesired failures such as the degraded of solenoid valve performance. Power is essential in solenoid application, in some remote locations such as oil and gas transmission power plants or extraction sites, conventional valves may require heat tracing or protection and users may simply appreciate lowering energy costs. More critically, these and other power demands often necessitate larger and more costly power supplies like the battery charging systems or solar panels. Radiation devices have a high effect on solenoid valves especially when not installed in the appropriate position, the device will spread part of temperature and the fluid temperature transmits to the coil very fast, and there’s high tendency for the coil to easily burn out or functional disability. So users should ensure to install radiator device between coils and valve body. How Much Do You Know The Solenoid Coil? The solenoid meaning varies differently in many areas, a very good example is for physics research where solenoid simply means a coil wrapped around metal, and after the current has passed through the coil, it will produce a magnetic field. They are a vast number of electromagnets in physics study and not all electromagnet can be called a solenoid. It is named specifically based on their functions; some are called inductors or even electromagnets while many are mostly called solenoid. In engineering terms and industry solenoid means a series of transducers when the solenoid has been energized, it converts the electricity into mechanical movement. What precisely is a solenoid coil? A solenoid coil is a wire tightly wound around a conductive core with a hollow center and a piece of copper wire wound around the hollow core. When the Solenoid is energized by a current, a current will pass the coil and create a magnetic field, thereby effectively form an electromagnet. For the major solenoid functions, the energy provided by the electromagnetic energy is translated into simple linear motion to switch a variety of devices. Solenoid coil and tubes are an essential parts that make up a complete solenoid. They both have different working principles and the two parts trigger the valve to operate. When the solenoid is energized, it will cause the plunger in the tube to move and actuate the valve to change the directions of fluids or the pressure of the valve. Below are some features to learn more about the solenoid coil. Voltage: For voltage specific solenoids are DC and there’s possibility they can be coiled for any voltage. Generally, the initial solenoid voltage is around 12VDC, 24VDC, 110VAC, and 220VAC. Power: Power can be said to be the rate of energy transferred and expressed in watts. In the case of solenoids, it has usually been 2 watts to 50 watts in the system. Insulation grade: The insulation grade varies from B class (≤130℃), C class (≥180℃), F class (≤155℃), H class (≤180℃). Protection class: The solenoid IP rating comes as a two figure code number. An example is IP65, which simply means from the first digit, the degree of protection against the ingress of solids and while the second digit means the degree of protection against water. An example is IP65 stands for dustproof and spray waterproof, IP54 also means dust proof and splash waterproof, and IP68 is dustproof and can work underwater. Duty cycle: It is stated as the percentage which represents the proportion of time that a current passes through a solenoid. For example when a solenoid is energized for about 15 seconds and turned “off” for around 45 seconds before energized again, then the total on/off cycle time is 60 seconds which is expressed as 25% duty cycle. Standard coil: They are very standard, self-holding and explosion proof. Material: Solenoids are generally made of copper. A regular coil is made of copper wires; which are used in power generation, transmission, power distribution, telecommunications and many types of electrical equipment. All regular coils are not exactly the same; the difference varies in material, protection class and insulation grade. 7 – Protected against temporary immersion in water 1m for 30 minutes. Material: It is made of copper wires in a plastic housing. This standard purpose solenoid insulation grade H class is made of copper which is housed in a plastic mode and has IP65 (degree of protection against the ingress of solids) as protection class. It has the similar functions with NASS brand of the solenoid coil, they are waterproof, dustproof resistance and have good resistance to high temperature. Material: It is made of copper wires in a steel housing. They are different from the first listed type of solenoid in areas of IP grade and material. It also has the capacity to handle high pressure. They have low performance or cannot function in water or dust conditions because of the steel housing material. From the above-displayed picture, the major feature of this solenoid type is the popped out wire from the shell full plastic housing. They are rated IP68 protection class, because of their excellent function underwater conditions. Material: It is also made of copper wires in a steel housing. These types of the solenoid are frequently used to avoid an explosion in the high pressured valves. Also, the explosion-proof class can be divided into different categories such as EXME type, EXIA type, EXM type, EXD type; they are also encapsulated in a plastic case to avoid lighting up other parts and can withstand super low temperature till 196℃. Material: This is also made of copper wires with a plastic housing. Latching solenoid valves also are known as pulse jet valve basically use the self-holding solenoid to perform the operation. This consists of a unique working principle; when de-energized; it still works because of the magnetism in the system and has various features, like the ability to operate a pulse signal and no self-heating. Before you proceed with installation, do not apply exceed pressure rating of the valve and ensure to check nameplate for correct catalog number, voltage, pressure, services, and frequency. Solenoid valves are designed to perform properly when mounted in any position. Though, for optimal life and performance which is always the target, the valve should be mounted vertically and upright to reduce the possibility of foreign matter entering the solenoid brass sub-assembly area. The structure of solenoid valve is very simple, you need to connect piping to valve according to instructions or marking on the valve body, or refer to flow diagrams provided in the manual. Avoid straining or improper alignment of the pipe and apply pipe compound carefully only to the male pipe threads, but when applying to valve threads, make sure the compound does not enter the body to avoid experiencing difficulties in operation. When tightening the pipe, ensure not to use the valve or solenoid as a lever. Note: Make certain that the solenoid valve is properly secured by installing a filter or strainer that is suitable for the service involved and position close to the valve. Always clean occasionally depending on service conditions. Before this procedure, ensure to comply with local codes and National Electrical Code when wiring. A green grounding wire is provided in virtually all constructions during wiring and to ease wiring, the enclosure may be rotated 360° by removing the retaining cap or clip and make sure to use rigid metallic conduit to ground all enclosures that are not provided with a green grounding wire. NOTE: Alternating current (AC) and direct current (DC) solenoids are built differently, so to be able to convert from one to other, it is essential to change the complete solenoid, including the sub-assembly and core assembly of the solenoid. NOTE: Before taking steps to maintaining your solenoid valves, you need to first de-energized and depressurize valve before making repairs. Also, it is not required to remove the valve from the pipeline before repairs. All solenoid valves should be timetabled and cleaned occasionally; the time scheduled time for cleaning has to depend on the medium or amount of service conditions by the valve. When you notice some abnormal activities such as sluggish valve operation, excessive noise, or leakage especially when the voltage of coil is correct then bear in mind that cleaning is due and ensure to clean valve strainer or filter alongside the valve. Make sure that the flowing medium through the valve as dirt and foreign material free as possible. During service operation, the valve should be used at least once a month to ensure its proper closing and operating principle. Depending on the medium and service conditions, it is recommended to periodically timetable inspection of internal valve parts to avoid damage or excessive in near future. Note: You should first de-energized from the power supply, disconnected all coil lead wires, remove retaining screw or clip, nameplate, washers and then Remove the DIN plug to replace. Carefully unscrew cartridge sub-assembly from the valve body and then remove the cartridge gasket and orifice gasket. Clean the valve thoroughly and install a complete xhnotion repair kits, after which you have gone through the xhnotion troubleshooting checklist and then lubricate all gaskets body with high-quality silicone grease. Properly Position cartridge gasket to fit in the valve body and thread cartridge assembly with orifice gasket into the valve body. Finally, Install the solenoid and complete the piping and electrical connection to the solenoid. Although solenoid valve structure is simple, there is a possibility to come across faults like solenoid valve breakdown, leakage, coil overheating, failure to closes or open and finally every valve nightmare Water Hammer. Is your piping system making odd noises? But then again, there are other things that create noise in the pipe systems; things like Air in the pipes can cause them to make sounds which are easily confusing with that of Water Hammer. Water Hammer can be stated as the phenomenon that happens when the movement of a fluid inside a pipe system is suddenly stopped by a closing valve. When the valve shuts off, the water flowing towards the valve in a waveform causes a pressure transient upstream of the valve. In numerous applications such as upstream length of pipe, flow rate and valve closing time, the pressure transient may be very high and can cause physical damage to the pipe system especially to the valve joints which may result to leaks. By increasing the pipe diameter to reduces speed inflow. By choosing a solenoid valve or other valve types with a lower response time such as the electric ball valves. It can also be reduced by installing a water hammer arrestor and proper installation of valves and piping to prevent resonation in the system and reduce the noise level as well. The response time of a solenoid valve can be said to be the amount of time needed for a valve to go from an open state to a closed state. Also, there is no similarity with the response time when energizing and when de-energizing for solenoid valves, especially when an alternating current is used. The response time of a solenoid valve can also be referred as a standard measurement procedure for solenoid valves. Note that many valve manufacturers use alternative definitions or measurement procedures. 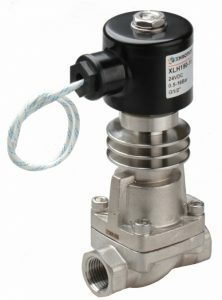 Another definition for the valve opening is stated as the duration between energizing the solenoid and reaching 90% of its stabilized outlet pressure while the response time for closing the valve is the duration from de-energizing the solenoid until the pressure drops to 10% of its test pressure and the test is executed with air at 6 bars at 20°C. The response of a solenoid valve is not instantaneous from the electrical point of view, because of the certain amount of time which the coil current must pass to supersede the coil inductance. When a voltage is applied to the solenoid, the magnetic flux will take a certain amount of time to reach its maximum capacity and the coil can be energized at any phase angle of the power supply voltage when an alternating current is applied. A very good example is when the voltage reaches its peak exactly as soon as the coil is energized, then it will take a lesser time for the armature to move than in cases when the voltage approaches zero before the coil is energized. It also takes an amount of time for the armature to move the required distance after the magnetic force acted upon it overcomes the spring force from a mechanical point of view and armatures with lesser mass tend to operate quicker, as there is less inertia to be overcome while moving the armature. The response time in a solenoid can be affected by the pressure variance and type of media used while with air, the response time will be a lot faster than with viscous media such as oils are used. 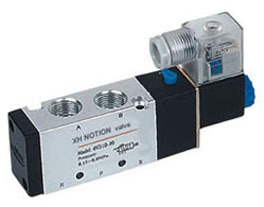 Also, the response time of a solenoid valve can be affected by both electrical and mechanical limitations while in some applications, it could cause a water hammer effect because the faster response time might be better or in some other applications, the fast response time would actually be the reverse. Leakage: Internal and external leakage is a factor endangering safety. The stem valve of other self-regulating valve is often extended; the movement of the valve core is controlled by electric, pneumatic, hydraulic actuators and solves the long-term action of valve seals leakage problem. It is suitable for a medium that is corrosive of high or low temperature. For Internal leakage, the electric torque of a solenoid valve is not controlled easily, leakage is prone to happen and even the head of the valve stem can be pulled off. So the structural type of solenoid valves can be easily used to control internal leakage until it’s reduced to zero. For External leakage, Electro-magnetic force affects the steel core sealed in the magnet-isolation sleeve of a solenoid valve, with no dynamic sealing, so it’s easy to block external leakage. Price and Performance: The solenoid valve system itself is simple in structure, the price is also low, compared to other types of valve actuators such as a sanitary regulating valve, very easy to install and maintain. In today’s widespread use of computers, solenoid valve has been able to tap in as a signal switched control valve which makes it even more apparent. It is Energy Efficient: A solenoid valve has high signal transmission capability with a response time as short as a few milliseconds. Solenoid valves coil power consumption is very low, they are energy-saving products. Also, its electric adjustable instrument is easy to operate and simple to install. The scope of Application: The valve technical progress also has been about how to overcome the inherent weaknesses and signal transmission distance, in order to concentrate on operating control; sensitivity and accuracy, is relatively high, so they designed a wide variety of products to meet various needs. Solenoid valves in the case of impurities must be filtered and they have high requirements for cleanliness of the medium, containing granular media which does not apply. Viscous media cannot be used, and the specific products for medium viscosity range are relatively slim. Solenoid valves in only two limit positions of the valve core can only be switched in two states and they are not continuously adjustable. Solenoid valves are designed to ON/OFF for operation and at some point during this operation will break down and fail to work. Have in mind that when a solenoid valve has broken down and stopped working after a short period of time is obviously something about the application that the installed solenoid valve is not suitable for. 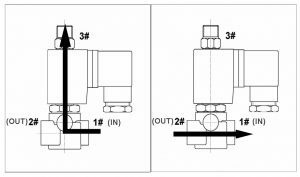 The troubleshooting direction below gives a likely solution and explanation to why your solenoid valve has stopped working. The Solenoid valve must be mounted in a horizontal pipe run with the solenoid vertical on top and set at a 90° angle to the horizontal pipe. Although in some cases most valves work in other positions, but they are not initially designed to do so and this process is not consistently and reliably if not installed correctly with the proper modifications. During installation, the solenoid valve must be mounted in the correct ‘flow direction’ as indicated by the arrow on the side of the valve body. Ensure that the valve is mounted at the back of the arrow which is the inlet and the low-pressure side piping at the front of the arrow which is the outlet. Try (Power to open) and check if the valve is normally closed or Normally Open (Power to close). Ensure using a magnetic detector or lift coil slightly to check if the magnetic field is present. Try not to remove coil when energized, so it won’t burn out. Check contact wire connection, DIN connector, and fuses. Check that the coil marked voltage is accurate for supply and refer to the solenoid-valve catalog to confirm voltage tolerances normally are +/- 10%. Check to see if the Plugged connecting screw is tightened, ensure that cable gland and cable diameter are matched because some valves will have cable plugs rated to IP65 and allow the cable to drop under cable gland to help prevent ingress of the water droplet. Check the coil power rating, higher power version may be required and go through the valves catalog to reduce inlet pressure in line with valve specification as shown in the solenoid-valve catalog. When valve is too low valve, then it will need a replacing with a 0 rated version, also check that the inlet/outlet pressure difference (Differential) are in line with design conditions of the valve and have in mind that the downstream side will rise to a higher system, it should also be necessary to subtract from the supply side pressure. Other system demands may also reduce the overall supply pressure which will further reduce differentials. Check the spare parts listing in solenoid-valves.com catalog and replace armature tube. Clean thoroughly the diaphragm and when damaged, check the spare parts listing in solenoid-valves.com catalog for diaphragm replacement. Clean thoroughly the armature and when damaged, check the spare parts listing in solenoid-valves.com catalog for armature replacement. Also, particles of dirt can be filtered out with a strainer, always ensure to mount valve with coil upright to reduce wear on top of the solenoid armature if any dirt gets into the medium. In cases when hard water scale builds up, check the catalog for appropriate installation of water softener or dry armature valve. Check the spare parts listing in solenoid-valves.com for the replacement of damaged components and media compatibility with the valve. Call the technical helpline or soak seals overnight to see if it swells up and do not use EPDM seals on Oils or Fats as the seals will swell and cause restrictions in the flow. Try not to remove coil when energized, so it won’t burn out and check diagram, lead connections, DIN connector and fuses. Use (Power to open) and check if the valve is normally closed or Normally Open (Power to close). Check the solenoid valve position for manual override and adjust if necessary. Check the solenoid-valve catalog for valve technical data and replace if required. Check the solenoid valve pressure and flow for regulation. Check and ensure that the solenoid valve other installation items are properly tight. After checking that the pressure and flow are not constant, ensure to use the right solenoid valve or verify catalog for a more suitable valve for the application. Check and refit diaphragm correctly and when damaged, see valve spares in the solenoid-valve catalog for diaphragm replacement. See valve spares in the solenoid-valve catalog for suitable valve specification and replacement of the damaged component. Verify that the solenoid valve flow direction is in line with an instructed arrow or in/out markings on ports. Valve Noise Appears Incorrect (Buzz) Check connector’s section in the solenoid-valve catalog and ensure to use DC valve with a rectified connector to set around 50 or 60Hz AC buzz. This is mainly caused by high liquid velocity and high pressure through small pipe bore, so check and ensure to Install a closed vertical T piece pipe in before the valve to trap air pocket and to dampen noise. The inlet pressure needs to be reduced and Increase the pipe size to reduce velocity. Check and ensure in solenoid-valve catalog technical data for the required media temperature. This can be solved by moving the valve to a cooler area or increase ventilation around valve & coil and also verify that you have correct function normally closed or normally open. 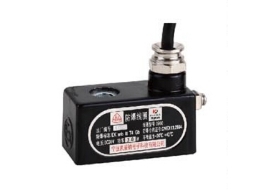 Coil Short Circuit Confirm IP rating according to technical data in the solenoid-valve catalog, check valves installation for short circuit, verify all lead connections at coil and DIN connector are in the right place. Check for moisture in the coil and replace if necessary. Clean thoroughly and if damaged, see spares section in the solenoid-valve catalog for replacement. Also, confirm media compatibility with valve and when bent armature tube is present, appropriate replacement is accordingly. Clean thoroughly orifice with a pin or compressed air. The Solenoid valve market is grouped in terms of types, ways and positions, electric signals, and applications listed as Core disc type solenoid valves, Floating diaphragm type solenoid valves, Flapper disc type solenoid valves, Hung diaphragm type solenoid valves, Piston type solenoid valves, Lever type solenoid valves, Slide disc type solenoid valve. Due to advanced technology and segmentation, the market is competitive as supply, demand, cost of goods and services sold affects the rise and fall in market prices of solenoid valves, higher demand will put upward pressure on price as competition among industrial companies will put a downward pressure on the price of the solenoid valve. Prices change in an incremental order within the last three years and research shows that the future trend of solenoid valve increases annually. We are sharing knowledge and business chances of fluid power products- pneumatic components and solenoid valve. My one question is, will it be yours? XHnotion originate from notion between pneumatic power and human. (X stands for winds, H stands for human). Worth reading. Good training material!